Global Millionaires Club found at globalmillionaireclub.co is a binary trading software that promises to make you a millionaire without having to do any work. Be careful though, as Global Millionaires Club is a scam. 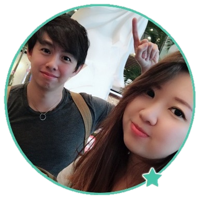 Let’s uncover the hidden truths with our in-depth Global Millionaires Club review. Global Millionaires Club is a scam, and it’s going to cost you money. The alleged owner of Global Millionaires Club, Alexander Wilson makes a huge boast right off the bat. 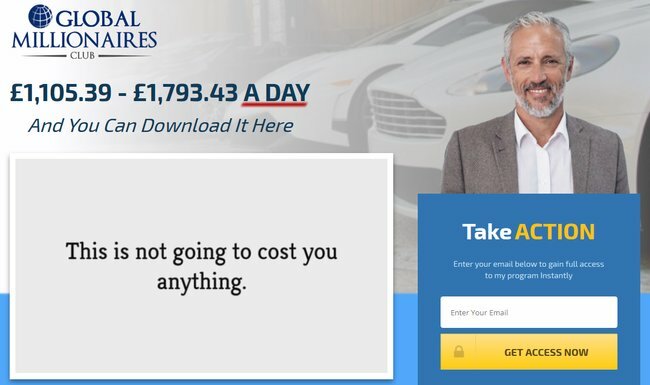 He introduces himself as a professor of Statistics, and that he has developed a system to help you make in between £1,105.39 to £1,793.43 every single day, guaranteed. Best of all, it doesn’t require any work from your part, and it’s not going to cost you anything. Is there really free lunch in this world? Unfortunately not. There are so many red flags that you should take note of within the homepage of Global Millionaires Club scam. Let’s uncover them one by one. Firstly, the exaggerated (and fake) profits shown above the sales video is nothing more than a tool to catch your attention and to make you watch the entire video. Who wouldn’t be interested to make over a thousand pounds a day? This is just an overused trick among online scams, and the same trick can be found in many other similar binary software scams such as Secret Millionaires Club and Euro Millionaire System. Once you focus on the sales video, Alexander starts his brainwash session. He begins the video by asking you to imagine a life without financial problems, where you get free money everyday and not having to take instructions from your bosses. Of course, he’s just feeding your imaginations and get you excited over the thought of finally becoming a millionaire. Is Alexander Wilson a real person? Since the founder is an established Professor of Statistics and honorary Professor of Mathematics who have published over 100 research articles, I wanted to verify the existence of this man. 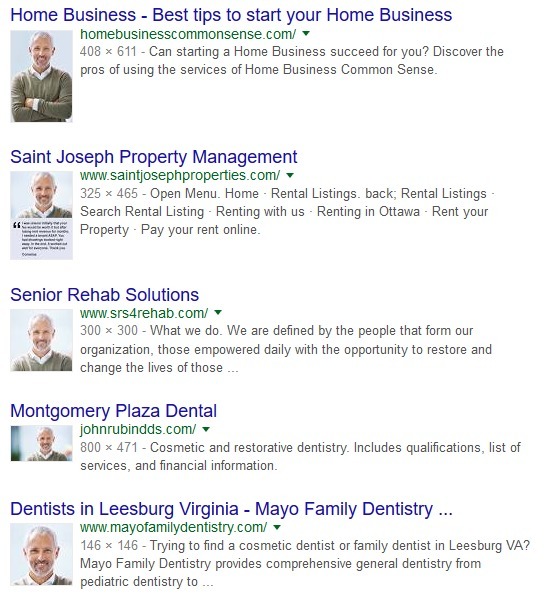 Apparently, this very same photo has been featured in many other websites, including home business, property management, senior rehab, and even dental websites. The truth is, this is just a stock photo publicly available online. There is no Alexander Wilson, and Global Millionaires Club software isn’t developed by any professor. It’s just a generic binary trading software that will lose all your money in a heartbeat. We have a more conclusive evidence to prove that Global Millionaires Club is a scam, but we’ll leave it to the later part of this review. Since this is a binary trading software scam, we feel the need to explain how binary trading works to make sure everyone is on the same page. If you have experience trading binary options, you may skip ahead to the next segment. Here’s how it works – let’s say I predict that the gold market will rise after 60 seconds, and I bet $50 on a 1-minute contract. When the time is up, and the price is indeed higher, I win a certain percentage of what I bet, usually between 60% to 80% (between $30 to $40). But if I’m wrong, I lose the entire $50 that I bet. In practice, trading binary options is the same as gambling. There’s no way to predict market movements in such a short period of time, let alone getting it right consistently. Can you guess the outcome of a coin toss with confidence? Every time you trade binary options, it’s as if you are guessing the results of a coin toss. The chance of getting it right is not higher than 50%. Even if you manage to achieve a 50% win rate, you’ll still lose money due to the uneven winning vs losing payout of binary options. This is why the vast majority of binary options traders lose money, and why Forbes warned us against gambling with binary options. Throughout the sales materials of Global Millionaires Club scam, it was not mentioned at all that you may lose all your money trading with their software. Instead, you were promised time and time again of the big profits you will be getting. However, if you manage to find the risk disclaimer linked from the bottom of the sales page (in fine prints), you will find out the truths that Global Millionaire Club scam is trying to hide from you. Global Millionaire Club is only sharing information in good faith and is not making any recommendations to invest in currency or any other investment. Therefore, Global Millionaire Club is not responsible for any losses or damages incurred by sharing such information. Trading binary options with Global Millionaires Club is risky and you are likely to lose all your investments. The profits shown in the sales materials are simulated results, no real trades have been executed using the software. To put it simply, all results displayed in the sales materials are not real. Despite coercing you to sign up for the software, Global Millionaires Club is not recommending you to trade binary options. If you do sign up and lose money, it’s entirely your own decision. Note: Scams like Global Millionaires Club that promise exorbitant returns are illegal in many jurisdictions. If they do not include this clause, they are deemed to illegally coerce you to sign up for the scam. Fact #2 alone should be enough to alert you to steer clear of the scam. How can you trust a software that doesn’t even test their results using real trades? These terms and conditions are not here to give you a fair warning as a consumer. The sole purpose of this document is to protect the scammers from legal actions when you lose all your money trading with Global Millionaires Club software. You can’t take any legal actions because you signed up based on your own decision. If you decide to sign up for Global Millionaires Club, you’ll have to register for a broker account through their sales page (which is an affiliate link). The scammers will earn a sum of referral fees as soon as you deposit into the account. I was assigned to OptionBit, an affiliated broker with Global Millionaires Club. The minimum deposit with OptionBit is $250. Even if you already have an account with their recommended broker, you have to register for a new one using a different email address. This is because the scammers behind Global Millionaires Club cannot earn their referral fees unless you sign up for a trading account through their affiliate link. And what happens when you finally deposit the money and lose all of it using their automated software? You are left on your own and you cannot take any legal actions against the scammers, because it is already stated in the disclaimer that you do not hold them responsible for any losses resulting from the trades. Remember how Alexander mentioned in the sales video – since they only profit when you do, the risk is entirely on them? It has to be a joke. They are using YOUR MONEY to trade. The risk is entirely on YOU, and they make enough profit just from the referral fees alone. YES, GLOBAL MILLIONAIRES CLUB IS A SCAM. As we’ve said in the review earlier, we don’t recommend binary options trading as a way to make money online, at all. It’s not that different from gambling, and using an automated trading software is no different. You are essentially putting your hopes and entire investment in a piece of software that gambles on your behalf.